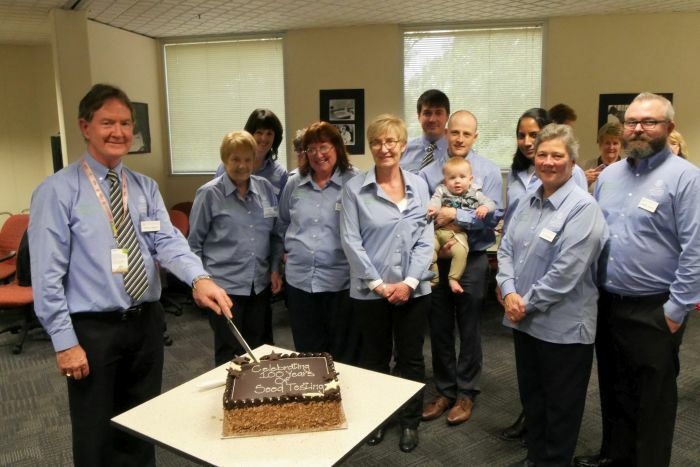 Seed Services Australia – the State Government’s seed certification and seed testing service - celebrated its 100th anniversary in 2017. The Government of South Australia officially started providing a seed testing service in 1917. Since then, Seed Services, which is part of Primary Industries and Regions SA (PIRSA), has witnessed, led and supported the state’s seed industry, which is now the nation’s largest in volume and most diverse in terms of the number and range of species grown. On July 7, invited guests including clients and industry partners joined current and former PIRSA staff at the Waite Campus Plant Research Centre to celebrate Seed Services Australia 100th anniversary at a special lunch and tour of the laboratory. Rural Solutions SA Executive Director Daniel Casement, who welcomed guests and staff at the lunch, said Seed Services Australia had an important role in the department’s chief aim to assist primary industries and regions to grow, innovate and maximise their economic growth potential. “Seed Services Australia, provides seed certification and seed testing services to the temperate pasture seed export industry for domestic and international markets,” Mr Casement said. “Today, it tests more than 10,000 seed samples annually and inspects 35,000 hectares of planted seed crops from across southern and eastern Australia, as part of its acclaimed national seed certification and SureSeed programs. Mr Casement said the team also had an increasingly important role in growing the State’s reputation for providing premium food and wine from our clean environment. “As an internationally accredited and quarantine approved testing facility, and with support from SARDI’s plant pathology laboratories, it has a frontline role in protecting Australia’s seed, grain and grazing industries from prohibited or potentially devastating weed seeds, disease organisms and pests,” he said. Seed Services Australia also celebrated its 100 year anniversary, as the Gold Sponsor of the recent four-day Australian Seed Federation conference held in Adelaide in August. As well as attending the conference, Seed Services Australia hosted a lunch and tour of its world-class laboratories and conducted a seed lot sampling training course for delegates. South Australia produces about 12,000 tonnes or 70% of Australia’s temperate certified pasture and forage seed annually, with a conservative economic value of approximately $210 million. 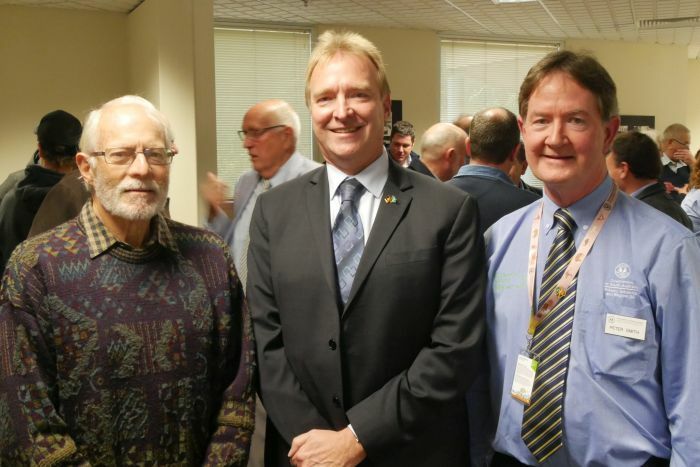 Above: (Left to right) Dr Kevin Boyce, PIRSA's Chief Executive Scott Ashby and Seed Services Manager Peter Smith. Above: Seed Services Manager Peter Smith and current Seed Services staff. 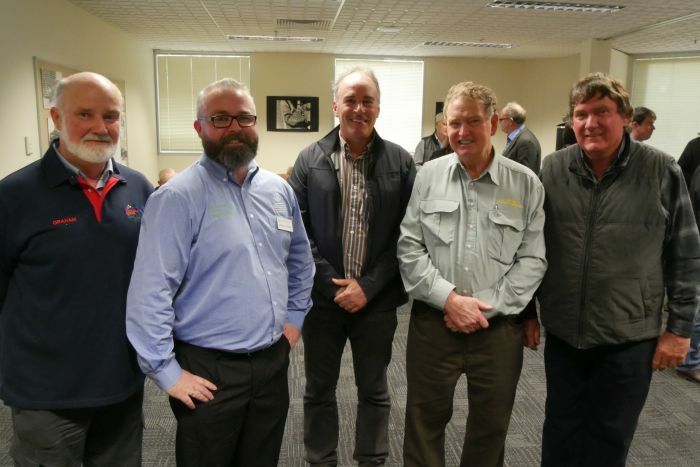 Above: Seed Services Australia analyst Aaron Keane with, from left to right, Graham Ramsdale, owner Tatiara Seeds, Bordertown; Richard Verner, owner Verner RH & Co, Mallala; Ian Lea, owner Superior Seed Co, Deniliquin, NSW and Neil Innes, owner Booleroo Centre Seeds, Booleroo Centre.